Skiers can easily relate to the decision-making process in purchasing winter tyres. Just as all-mountain skis can handle any snow condition and terrain fairly well, all-season tyres can suffice for any road condition. However, as any skier on all-mountain skis knows after watching a smiling buddy on powder skis blow by on a waist-deep day, there is a big difference between sufficient and ideal. Until about 30 years ago, switching the family car to snow tyres was a seasonal rite-of-passage for those in colder climates. The advent of all-season tyres turned this ritual into a “back-in-the-day” story for granddads. All-season tyres are now standard on most cars, trucks and SUVs. Nonetheless, snow tyres, or “winter tyres” as the manufacturers more accurately call them, are still sold for cold-climate markets. According to Sachin Deshpandé, public relations manager at Michelin, the reasoning for the “winter tyres” moniker stems from a distinction based solely on temperature, rather than snowfall. Across the industry, the benchmark of 7 degrees Celsius, or about 45 degrees Fahrenheit, is the magic number for winter tyres. The rubber in all-season tyres starts becoming more rigid below that line, so traction suffers. Costing about the same as all-season tyres, winter tyres should be bought in a set of four. Drivers would sometimes switch out just two tyres “back-in-the-day,” but today’s designs make that practice unsafe. Owning two full sets of tyres obviously requires more of an initial investment, but the long-term cost tends to even out with each set being used for only part of the year. The M + S (“mud and snow”) designation on the sidewall of most SUV tyres does not necessarily denote a winter tyre. A true winter tyre has an additional symbol — a snowflake inside a mountain. Tests by Car and Driver suggest that winter tyres are more important than four-wheel drive for control in braking and turning. 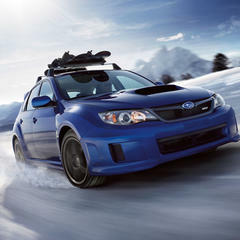 Four-wheel drive largely translates into better acceleration on snow and ice, not necessarily better stopping. In fact, better acceleration leads to driver overconfidence which leads to the remarkably common sight of four-wheel-drive SUVs in roadside ditches. 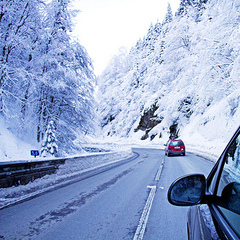 To achieve better grip in cold temperatures, winter tyres are made of softer rubber compounds. Wearing more quickly on dry, warm pavement, the softer rubber makes winter tyres an impractical choice for year-round use. Speaking of wear, three or four winters is the usual life expectancy for most winter tyres. The brands tout various additives designed to increase grip and bite. Toyo, for example, puts tiny bits of walnut shells in its winter-tyre rubber. Tread design, the other major distinctive feature of winter tyres, attacks the problem of snow and ice. Small tread blocks and plenty of sipes, thin cuts in the tread, are typical traits of winter tyres. For really serious snow and especially ice, studdable tyres have optional metal studs dotting the tread surface. Studded tyres can really cut into the ice for traction. Unfortunately, they also cut into dry asphalt. 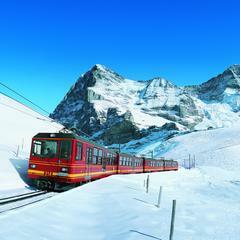 Winter tyres are generally grouped into three categories: winter performance, studless winter and studdable. Winter performance tyres address the rubber temperature issue to excel on wet and dry pavement in cold weather. However, in particularly heavy snow and ice, they’re less suitable than regular studless winter tyres — and certainly less than studdable ones. Most tyre manufacturers offer winter tyres of each sort. 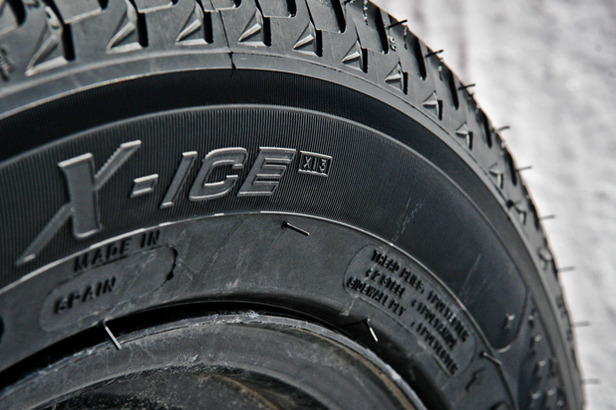 Bridgestone Blizzak and Michelin X-Ice are a couple of the well-known lines. Nokian, a Finnish company claiming the first winter tyre in 1936, has a cult following for its outstanding — and pricey — winter tyres. Skiers and riders know the right gear can make a difference on the slopes and may want to consider the right gear for winter roads. After all, getting to the mountain safely is the first order of business on a powder day. 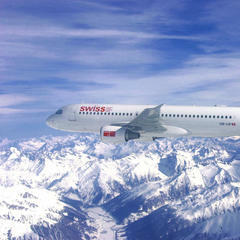 Next article: Four-wheel-drive or all-wheel-drive?